A seaside scene in the early 1900's as a family watch the sail boats. 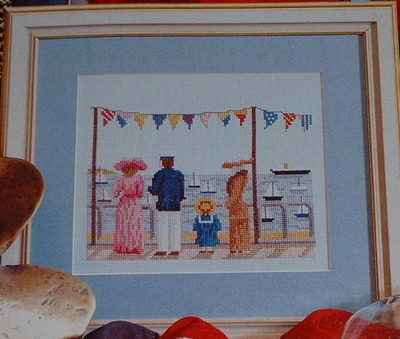 This design shows a seaside scene in the early 1900's as a family watch the sail boats. DMC, Anchor and Madeira threads only listed.